Pier 36 will be aflutter with ridiculous amounts of music for I’ll Be Your Mirror, September 21st-23rd. Pier 36 is a new, indoor venue located at the edge of the East River between the Manhattan & Williamsburg Bridges that boasts glorious views of Brooklyn and the Statue of Liberty. Saturday is headlined by the recently reunited Afghan Whigs. 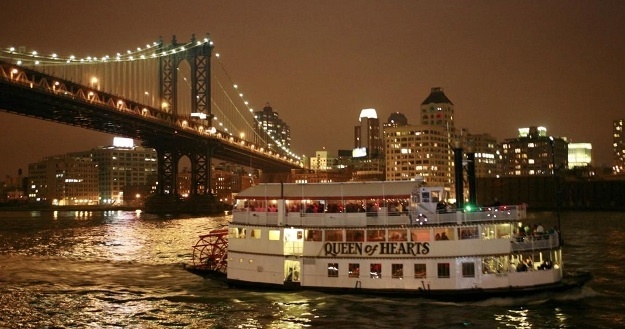 Frontman Greg Dulli curated the evening’s lineup and selected a handful of good reads to be discussed at a boat-centric book club event aboard the Queen of Hearts facilitated by the folks at Lapham’s Quarterly. To sweeten the deal, there will be opportunities to sample rare single cask Scotch Whiskies throughout the weekend. Sounds like one not to be missed if you are in the area. Tickets are available now from www.ATPFestival.com or in person from Other Music in NYC. Complete lineup details below.